"The DAP 2017 Festival seeks to combine the rich visual arts history and culture of the City of Pietrasanta with meaningful contemporary dance. It celebrates the city’s culture of sculpture, film, and photography through live dance - on stage and throughout the city. To serve this exciting creative collaboration we draw upon New York’s diverse and extensive dance community to fuel the exchange." 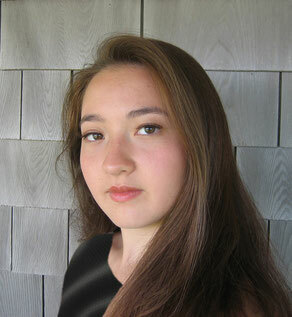 Susan Kikuchi was a member of the Martha Graham Dance Company (MGDC) and served as Director of the Graham Ensemble and School, and Artistic Program Manager of MGDC. She has re-staged many Graham works for the MGDC, Joffrey Ballet, Boston Conservatory, etc. Soloist and Assistant Director - Broadway production with Yul Brynner: Choreographer - Broadway Asia tour in China and the Far East; Choreographer - Royal Albert Hall in London starring Daniel Dae Kim. Director - Kansas City’s Starlight Theater starring Lou Diamond Phillips. Broadway credits: The King and I, Pacific Overtures, Flower Drum Song, South Pacific, Jerome Robbins’ Broadway. BA - University of Rochester. 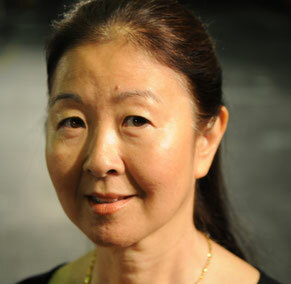 Susan Kikuchi has served on the faculties of The Ailey School and the Martha Graham School. She has worked with Baayork Lee (A Chorus Line) on Miss Saigon and with National Asian Artists Project's productions. Susan was nominated for the 2014 Helpmann Award for Choreography and she received the Green Room Award for Choreography with Jerome Robbins for Opera Australia’s production of, The King and I.
Cassey Kivnick has worked as a performer, stage manager, lighting designer, and director. She is a recipient of the SDCF Mike Ockrent Fellow for Directing on Half Time with Jerry Mitchell, a new musical that just completed its Chicago world premiere and is scheduled to open on Broadway this coming Spring 2017. Select theatre and opera credits include: Assistant to Baayork Lee (A Chorus Line - Broadway revival, London, Australia), Stage Manager (OBIE award winning Abandon - La Mama), Anatomy Theater (World Premiere, L.A.), Assistant Choreographer (The King and I - U.S., China, England, Australia), Lighting Designer (Thang Dao Dance Company), Properties Designer (Oliver! - National Asian Artists Project; The Comedy of Errors, Hamlet), Assistant Director/Uncle Thomas - Dance role, Ensemble cast member (The King and I - Kansas City), Associate Director/ Choreographer/ Dialect Coach (Sweeney Todd - University of Kentucky, Lexington), SDCF Directing Assistant (A Christmas Carol – Adaptation: Patrick Barlow, Director: Joe Calarco). Cassey Kivnick holds an undergraduate degree in Linguistics with a minor in Spanish from Macalester College, and a Master’s degree in TESOL (Teaching English to Speakers of Other Languages).